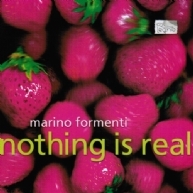 The outstanding pianist Marino Formenti begins his journey with Beat Furrer's Voicelessness – The Snow has no Voice (1986), a piece reminiscent of Debussy's Des pas sur la neige and depicting the same profound hopelessness. John Cage's Music Walk (1958), "for one or more pianists who also play radios and produce auxiliary sounds by singing or other means," thus requires further sound-producing devices or objects, as does Haubenstock-Ramati's Pour Piano (1973). Georg Friedrich Haas, on the other hand, has written a quarter-tone piece for two pianos but only one pianist: his 15-minute Hommage à Ligeti (1985) is characterized by hard, quickly proceeding repetitive patterns thundering along with amazing intensity. Salvatore Sciarrino's contribution is of equal expressive force: two pieces dedicated to pure piano, first the quietly trickling Perduto in una città d'acque (1991), then the fierce, violent lashing of Notturno crudele N. 2: Furia, Metallo (1999). And finally, Nothing is real: Alvin Lucier's paraphrase of the Beatles' Strawberry Fields Forever concludes what is simply one of the best recordings in the history of piano playing.